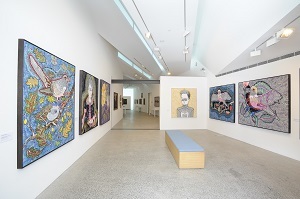 Awarded the prestigious Archibald Prize in 2008 for You are what is most beautiful about me, a tender self-portrait with her two children Kell and Arella, and again in 2013 for her pensive portrayal of actor Hugo Weaving, Del Kathryn Barton is undoubtedly one of the most critically acclaimed, eagerly sought-after figures in Australian contemporary art. Attesting to the extraordinary success of her enchanting signature style are the numerous collaborations across the arts in which she has been invited to participate – including most significantly, the commission by publishing house Art and Australia in 2010 to create a series of works reimagining Oscar Wilde’s poignant fairytale, The Nightingale and the Rose (1888). 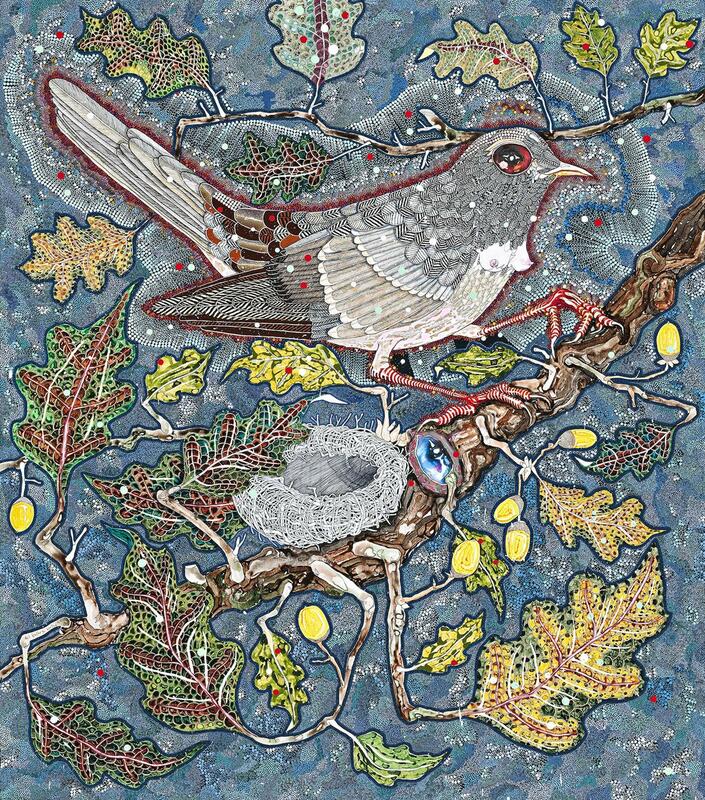 Comprising eight major paintings and four smaller watercolours, Barton’s hauntingly beautiful ‘Nightingale’ suite today remains universally admired among her finest achievements. Indeed, such was the success of the lavish hardcover publication by Art and Australia that in 2012, Barton joined forces with acclaimed Australian film-maker Brendan Fletcher to translate her Nightingale paintings into film – an intense and stunningly ethereal interpretation of Wilde’s earnest tale for which the duo subsequently won an Australian Directors Guild Award for Best Direction in an Animation in 2016.